+ It starts with the Haitian vanilla, which Pam got from a Haitian missionary ten years ago. It's a little bit sweeter than your average vanilla. + Your next stop is the Indonesian vanilla, which is commonly used for baking, so it will taste a little familiar. + Then follows the infamous Mexican vanilla. It has a slight spice to it, almost cinnamon-y. + The Tahitian vanilla is next. It has a hint of cherry to it, but that's not because there's any cherry in the ice cream, that's just how the bean finishes. + Then there's Venetian vanilla -- it's the only vanilla that is a flavor instead of a bean extract. In case you're a purist, it's the golden yellow scoop you want to avoid. + And to provide comparison, Moxie's also throws in a scoop of "regular" (Madagascar) vanilla. + To cleanse the palate, you get a bottle of Moxie's very own bottled water -- and a scoop of Blue Moon. What is Blue Moon, you ask? It's a flavor that Pam's brother found at food festival when he was 12 and Moxie's has carried it ever since. She says it's a popular flavor in the Midwest; but on the East Coast, it's basically unheard of. "It tastes different to everyone and we've heard it all," said Pam, "It tastes like wedding cake, lemon, frosting, bubble gum. One woman even tried to say she tasted a hint of burnt almond; that was way off." The only downside to taking the vanilla tour is that it might not leave room for you to sample Moxie's more exotic flavors like Cajun strawberry or sunflower. So plan accordingly. Moxie's has 79 flavors in their repertoire. Yes, they have chocolate, coffee, and strawberry. But they also have flavors such as blueberry lavender, cajun chocolate peanut butter, and chai tea. So the only sensible thing to do to try as many of these flavors as possible is to pair them. Pam herself never eats two scoops of just one type of ice cream. Her suggestions? Blueberry and mojito go well together, or nutmeg and Cajun Haitian vanilla (a pretzel cone is best for this pairing). The repertoire of flavors has expanded over decades. Pam says they haven't really retired any of their flavors -- even the less popular licorice. Another odd part of Moxie's history: Mohamed Allie never wanted to sell ice cream. He wanted to open a restaurant and work with his real love, burgers. 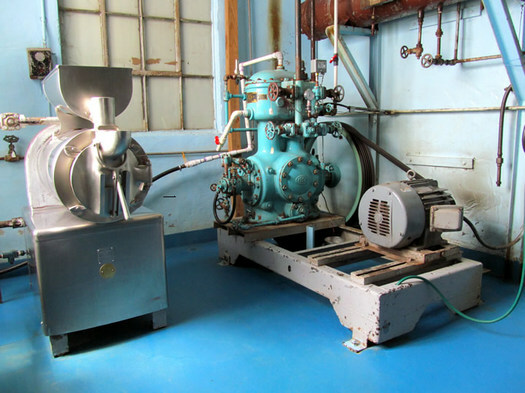 But he sort of inherited the ice cream parlor along with his Wynantskill building and landed in the world of dessert. The adjacent restaurant ended up closing, but they've been selling ice cream there for 43 years. 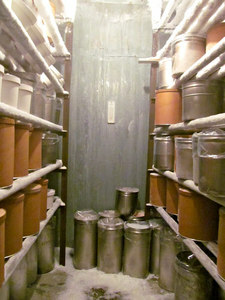 Along the way, Moxie and Pam even trained at the renowned Penn State ice cream course. It seems to have paid off. Though Moxie still hasn't quite grown to love ice cream yet, their shop has built a reputation for good ice cream, interesting flavors, and natural ingredients. "But I'm not famous," says Moxie, "I'm just little old me, running a little old ice cream shop." And when Pam isn't spending her summers helping her dad run the shop, she's living in El Salvador with her husband. There she meets people from all over the world. And one of her first questions usually is: "What's your favorite kind of ice cream?" 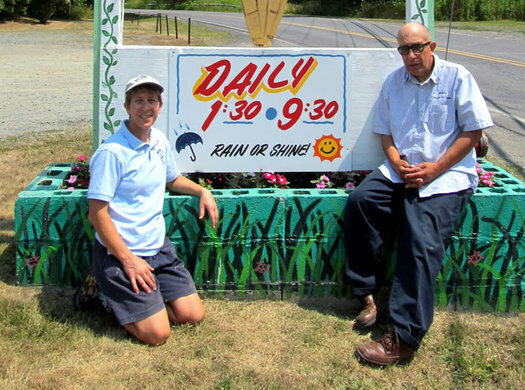 What brings her back to Wynantskill every summer is her dad, their shop, and their customers. "I like making ice cream and I love making it with my dad. I love looking out the back window every summer and seeing every picnic table full. It warms my heart to see kids running around the playground, from the truck to train screaming 'All aboard!' I just love that." I did the around the world vanilla tour at Moxie's on Daniel B. 's hard ice cream tour and it was one of the highlights of the day. 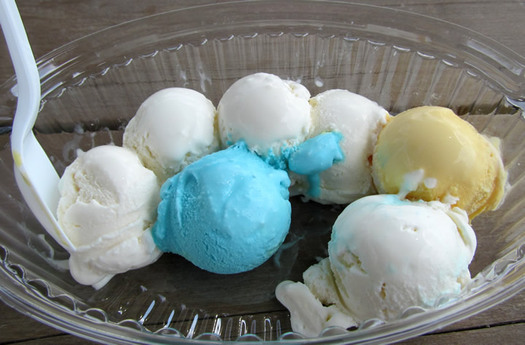 The gal working there kindly left the blue moon out at my request (btw, we saw that Blue Moon at more than just Moxie's on that tour) and forgot exactly which vanilla was which by the time she had scooped them all. It didn't matter, though, I had fun trying them and they were all really good for different reasons. That alone is worth the trip to Moxie's. 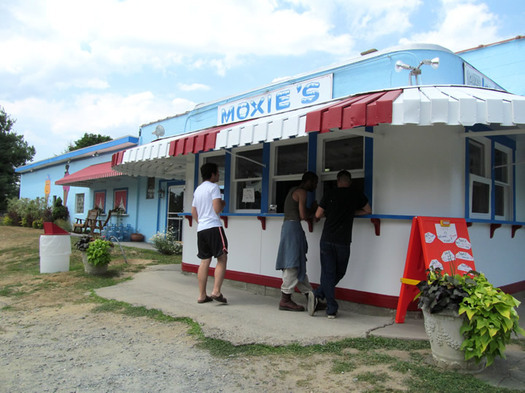 As a Poestenkill native, I grew up on Moxie's ice cream and can attest that it is delicious! Personally, I think Blue Moon tastes like fruit loops. I've heard Moxie's sells vegan ice cream, does anyone know if this is a daily thing or only on certain days? I think that without a doubt Moxie's has some of the best ice cream in the area. I do not feel that you get any value in their product. I know that they make an artisan type ice cream but $2.35 for a single very small scoop just doesn't cut it. Moxies has vegan ice cream. So does the Peanut Principle. My fave ice cream bar none. Eating this ruins my palate for store-bought ice cream. 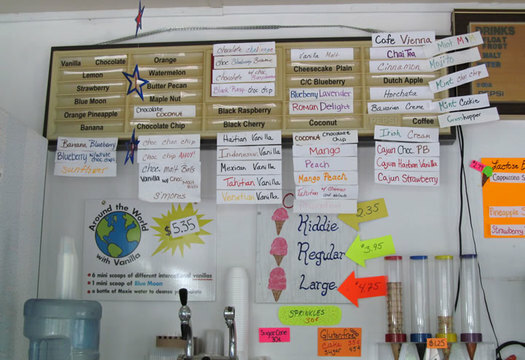 Sure other ice creams are cheaper, but they're not the real deal like Moxie's.